Luis Casamayor, President and Chief Creative Officer, and Jorge Plasencia, Chairman and CEO, República. Photos by Sheila Barabad. Fresh off being named one of the best places to work by PR News and being named the best agency using tech innovation and social media by LATISM, the independent, multicultural advertising and communications powerhouse República and its cofounders Jorge Plasencia and Luis Casamayor would be forgiven for resting on their laurels. But as their fast-growing agency turns 10 this year, Plasencia and Casamayor are as hungry as ever. Founded the same year as Twitter, República—ranked for the fifth consecutive year on Inc. magazine’s list of 5,000 fastest-growing companies—was digitally focused from day one, giving the full-service agency an edge on some of the bigger names in the industry. Plasencia and Casamayor describe how the idea of founding their own agency was conceived organically: the result of coffee-break conversations and brainstorming sessions. The two friends were working in different industries; Casamayor was running his own successful creative and design agency, Cosmyk, while Plasencia was an executive at Univision Radio. Interested in bringing his agency to the next level, Casamayor would meet with Plasencia for friendly advice. The two Cuban Americans would get together during the workweek, and Plasencia would share operations advice with Casamayor, approaching ideas for his firm from the experience of a corporate executive. 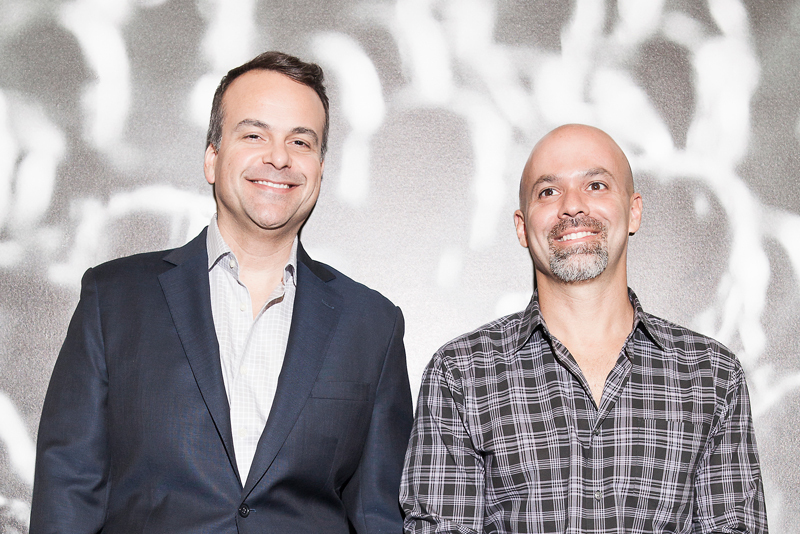 After numerous meet-ups and countless hours animatedly discussing strategy, the pair realized that with their different skill sets—Plasencia’s corporate background in entertainment, sports, and media and Casamayor’ experience running his own agency—the two were ideally suited to create an agency together. After nearly a year of fleshing out their idea, they finalized a plan, and Plasencia informed Univision that he would be leaving with ample advance notice. He was a key executive at Univision Radio at that time and wanted to be sure he moved on in the right manner. As two distinct individuals with complementary skill sets and backgrounds, Plasencia believes that Casamayor’s “passion and drive for design and creative” and his “experience and background in marketing and media” were a big part of their success early on. As a digitally focused, multicultural agency, as well as a leader in the diversity space, headquartering in Miami was a no-brainer decision for the pair. Committed to being an all-service agency from day one, República began with the conviction that the future was digital and social media. “If you told a client early on to significantly invest in social media, posting content on Facebook and Twitter, they would’ve looked at you like you had three heads,” Casamayor recalls. However, thanks to the recession in 2008, República was able to double down on their digital and social offerings, as clients were increasingly interested in efficient campaigns with measurable results. The pair agrees that despite the difficulties that the media world was facing, the economic downturn helped the young agency grow and come out the other side with a strong yet nimble organization. Instead of focusing on cutting costs and reprioritizing, as the more established agencies were doing, República was focused on growing and delivering top-notch campaigns to their ever-growing list of clients. In addition to a growing roster of award-winning advertising and PR campaigns for some of the country’s top name brands, República has built a reputation of offering clients a suite of services that most traditional agencies haven’t been able to provide. This includes building a practice that counsels companies from Fortune 500 to Silicon Valley startups on establishing diversity-and-inclusion strategies, including supplier-diversity initiatives. What began as smaller consulting projects for companies like Burger King and AARP more than eight years ago has now led the agency to be a leader in the D&I space. Nominated by client Google, República received the exclusive Corporate Plus designation from the National Minority Supplier Development Council in 2015. The agency is finding this new revenue stream to be not only financially fruitful, but professionally satisfying as well. Although Miami will always be home, República serves clients across the US and is planning on opening a West Coast office in the near future, due to growing client opportunities out there. The agency is excited to grow their presence in another rapidly growing multicultural market and build up their infrastructure out west. Another milestone event for República this year will be the third annual eMerge Americas technology conference. An eMerge partner since its inception, the agency is more excited than ever for this year’s event. Plasencia and Casamayor both feel that the conference has helped to position Miami as a major tech hub for the Americas. With featured speakers like Colin Powell and Tony Hawk, this year’s event promises to be the largest yet. “There’s a tech and startup movement happening in Miami, and eMerge really propels that movement,” Plasencia says. República is living proof that the movement is gaining traction. “We walk the walk and talk the talk,” Plasencia adds. Last year, República partnered with the Idea Center at Miami Dade College and the Knight Foundation to create “MarketHack,” a digital-marketing educational program. In its second year, the program has become a major success and force within Miami’s tech and marketing community. Recently named the best marketing/PR firm using tech innovation and social media to reach Latinos by LATISM—the second year in the row that it has received this honor—República is making waves as a leader in cross-cultural communication, bridging the gap between big-name, innovative corporations and Latino culture. That said, “Our biggest reward is the success of our clients,” he adds. 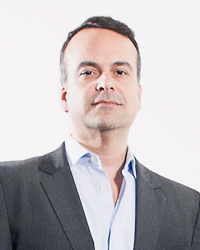 A business and civics leader in Miami, Jorge Plasencia is the cofounder, chairman and CEO of República. With over 20 years experience in strategic marketing, advertising, communications, and business strategy, Plasencia spent most of his career in the entertainment industry, from directing marketing for the Florida Marlins to being a leading executive at Univision Radio. He is also former chairman of the National Council of La Raza and the first Cuban American and Floridian to hold that post. Over your career, you’ve worked with some superstars in music and entertainment. How did that experience shape your approach at República? Working with stars like Gloria and Emilio Estefan and Shakira taught me to think big but to also be humble. Like they would tell you, nothing comes easy, but anything is attainable. And that hard work does pay off. A Miami native, if you had to pick one favorite sports team which would you pick: The Miami Dolphins, Miami Heat, or Miami Marlins? That is a tough one, but I would say the Heat. That’s an even tougher one. This is a foodie capital. But you can never go wrong with Joe’s Stone Crab. You cofounded the foundation Amigos For Kids at age 17, when most kids are thinking about prom. Why was philanthropy so important for you at such a young age? The opportunity came when I was 17. I was volunteering for an organization that helps abused children. It didn’t have a Hispanic auxiliary, and I was part of a group that decided to create it, calling it “Amigos.” A year later, we branched off into a separate full-fledged organization that we named Amigos For Kids. This year marks 25 years since we started Amigos For Kids, and today the organization is one of the most respected nonprofits in our community. There is a huge dichotomy in Miami and South Florida. This is a very cosmopolitan, global community, yet like any big city, there are areas of great need. I am proud that Amigos For Kids is here to help those underprivileged kids and families. How did your background at Univision influence your understanding and role of Hispanic media in America? Hispanic media has a lot of influence, and its power continues to grow as the community grows. It also offers the unique opportunity for brands to connect in-culture with consumers. Working for Univision was important as I had the opportunity of intimately getting to know our vast community across the country, from Latino neighborhoods to civic leaders. 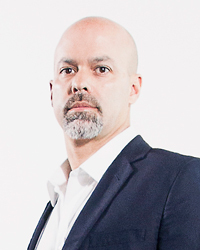 With over 20 years of strategic marketing, advertising, and design experience, Luis Casamayor is the president and chief creative officer of República. A global thought leader in the creative digital space, he began with branding and print design and evolved to everything from app design to website development to social media campaigns. Prior to cofounding República, he was the president of Cosmyk, a full-service branding and advertising agency. You started Cosmyk in 1994 as a boutique design firm. Over time, it evolved to become a full-service branding and advertising agency. How did weathering that pivot inform your strategy for República? I don’t have an MBA. I had never worked in a corporate environment. All I had was the desire and a dream. I worked hard and invested in the business in order to realize that dream. Over time, the agency transformed based on clients’ needs, always delivering at the highest level. It wasn’t easy, but it was worth every sleepless night. I apply that same work ethic at República, applying the lessons I learned throughout my career. How do you feel you and your cofounder balance each other out professionally? We both have the same vision, but we have really different ways of getting there. Understanding and respecting each other’s process is key. We trust each other immensely. When one of us has a gut instinct, we back each other up. Knowing a little about your schedule, I know you recently attended the Miami Book Fair. What book are you reading right now? The Leadership Pipeline: How to Build the Leadership Powered Company. How has your design background shaped your approach with República? What is your all-time favorite app on your phone that you would die without? I absolutely need both Waze and Uber. Waze helps me navigate through the Miami traffic. I use Uber everywhere else.